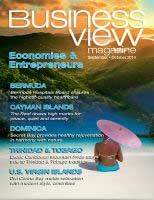 Business View Caribbean interviews Joseph O’Garro , Port Authority Manager of Montserrat Port Authority, as part of Best practices in Montserrat Business. Carr’s Bay project a game-changer for Montserrat Port Authority. 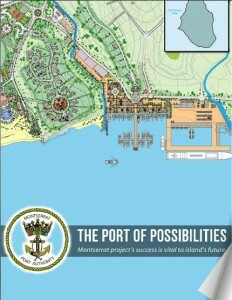 Design is well under way for a new port and marina facility in Carr’s Bay – just more than a kilometer south of the existing facility on the western Caribbean Sea coastline of Montserrat – a project whose estimated value exceeds $100 million (U.S.) and whose construction, according to the manager of the Montserrat Port Authority, will take roughly four years to complete. The design changed from where it’d been at the 60 percent stage. 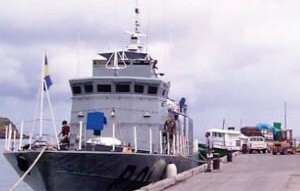 Representatives from the port project’s lead design firm, London-based Halcrow, reported to the Montserrat government that docking facilities had been upsized to accommodate vessels of 294 meters. Also new were allowances for fuel vessels to unload at the docks rather than staying offshore, and the disclosure that the breakwater wall would be built 75 percent from land rather than via more expensive ocean construction. 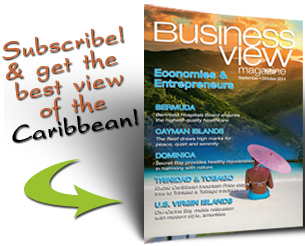 The overall port footprint was bumped to 4.22 acres from 4.0 and the marina – whose progress will be overseen by the Montserrat Development Corporation – is up to 5.49 acres from 4.0. An integrated waterfront town center is also planned and will cover 7.11 acres, as opposed to the original 5.55. Halcrow officials said the changes were made to boost the project’s functionality. Site work has begun in the last several months and all pieces are anticipated to be up and running in roughly five years. And for Joseph O’Garro, the port authority’s manager since April 2013, the project’s ultimate success isn’t optional. It’s a matter of survival. The new facility, he said, will provide not only an improved atmosphere in which to handle the island’s ongoing and future cargo transport needs, but also a better overall environment in which to do business. The design phase has included input from many stakeholders and the incremental iterations of the project have prompted several rounds of feedback from those stakeholders and others. A tedious process, perhaps, but also one O’Garro believes will result in the best possible end product. “We’ve been very engaged with the management team to ensure that it is fit-for-purpose. Not just handling the cargo but presenting a very good customer interface,” he said. “At the end of the day the Montserrat Port Authority are the custodians of cargo. Essentially we’re in the customer service business and as such we must be able to serve customers quickly and effectively. Beyond simply providing a better environment in which to do business, the new port brings with it the potential to both enhance the services offered by many existing businesses, as well as the promise that its mere presence will bring more economic possibilities to the island. The upgraded facilities will be able to service tourism vessels with onboard capacities as high as 2,000 to 2,500 passengers, which means increased interest in Montserrat as a cruising destination. A new marina with additional boat slips will mean increased potential for luxury yacht traffic. The port will also allow the island to serve as a direct destination for imported cargo, eliminating much of the need for the goods used on the island to make an intermittent stop at St. Maarten. Direct shipping will mean lower costs and improved profitability for island businesses. The modern closed breakwater design is also intended to ensure a minimum of weather-related downtime during the seasons when the island is buffeted by large sea swells. Put it all together and it’s no wonder the new leader is nearly bursting with optimism. “This will serve as a gateway to Montserrat,” he said. “Everything is going to flow through our port. It’s certainly going to serve as a world-class facility and a world-class tourism product and it will provide access for the world at large to come in and partake and experience Montserrat. 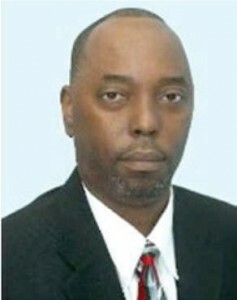 O’Garro was a career veteran of the cable and wireless industry before taking his current position, where much of his tenure has been spent immersed in an agenda brimming with immediate and long-term priority items for the port, which is based in Little Bay and is the main venue for entrance and exit of heavy cargo on the Caribbean island of 5,000 people. The other venue is the once-abandoned Port Plymouth Jetty in the Exclusion Zone, which is now used primarily for export of sand/aggregate, thereby ensuring the island’s road network is not compromised by the weight of the large lorries. The facility provides 24-hour vessel-related operations for incoming ships, alongside its cargo delivery functions, which are available between 8 a.m. and 4 p.m. daily and in other hours on an overtime basis as needed or upon customer request. A passenger ferry to Antigua operates four days a week, except for a month in the Christmas/festival season where daily trips are the norm, and revenue is also generated through equipment rentals – cranes, forklifts, etc. – for use on the island. In the short term, O’Garro’s focus has been on improving the port authority’s internal culture, both relating to the atmosphere in the workplace and the efficiency with which it operates, as well as the way its employees interact with the public. “The values and culture here are built around customer service, teamwork, accountability and respect for employees,” he said. “That’s not to suggest those values were not part of the operation prior to the commencement of my tenure, but it is part of my mandate to strengthen all those values and generally improve the culture of the organization.